Amber necklace for adults, with screwless closure without metal parts. Amber necklaces are known throughout Europe and Middle East for their therapeutic properties. 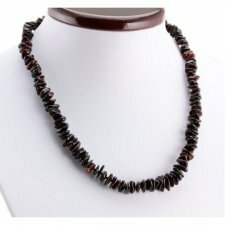 They consist of small irregular beads in pure Baltic amber coming from fields located in Poland. Amber is still a gemotherapy product and is marketed in Italy as a jewelery, so consider it an adjuvant to the well being of the person and not a substitute for medicines prescribed by your doctors. In case of illness, continue the therapies prescribed by your treating physician. 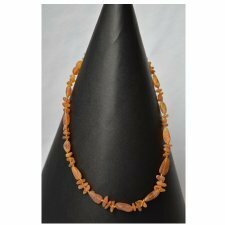 Baltic amber necklace, nuggets polished beads. With twist clasp without metal parts. We are surrounded by all sorts of electrical devices: radios, television sets, microwave ovens, hair-driers, shavers, computers and mobile phones, which affect our organism. Modern research proves that we may protect ourselves against their negative influence by making friends with Baltic amber wearing amber jewellery. Warming up, amber changes ionization, positively influencing our frame of mind and rebuilding the disturbed electrostatic field. 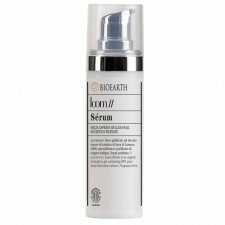 Loom Sèrum is an eco-organic formula in gel containing 96% pure snail secretion extract. Fragrance free. Dermatologically tested. Contains: extract of micro-filtered Snail Slime, aloe vera gel *, natural hyaluronic acid, ginseng extract *, calendula extract *, echinacea extract *, yarrow extract *. 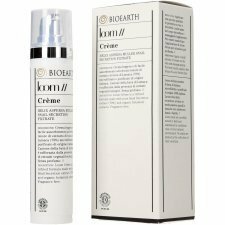 Produced in Italy by Bioearth, EcoBio Certificate Cosmetics from ICEA. You can wear this body in many ways: as under-jackets, for sports or as underwear. Above all it is perfect for guaranteeing comfort and freedom of movement. It is very elastic and adheres to perfection, without pulling or wrinkling. 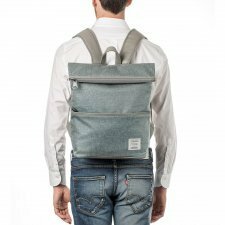 To the touch, the modal and cotton fabric is enveloping and soft, completely natural, with a minimal amount of elastic component, so it has the right consistency to be pleasant to wear at all times. Modal, micromodal and cotton are Oeko-Tex Standard 100 certified. The coloring and finishing treatments have been carried out in Italy, with strict controls and with safe and certified substances. 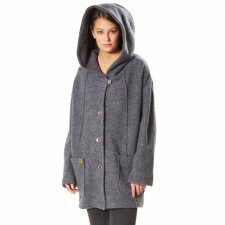 Coat made of 100% boiled merino wool. With hood, closure with mother of pearl buttons, 2 open pockets. 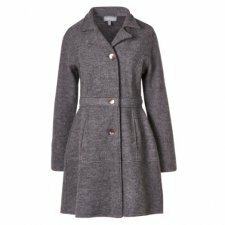 Woman coat in 100% boiled merino wool. Button closure. 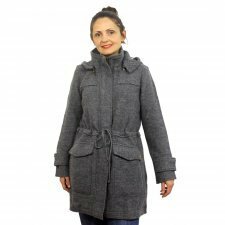 Coat made of 100% boiled merino wool. With hood, closure by zip, 2 pockets. Stand out from the crowd. 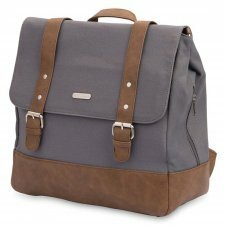 Rotunda sophisticated diaper bag brings you an elegant combination of style and thoughtful function while you’re out and about with your little one. 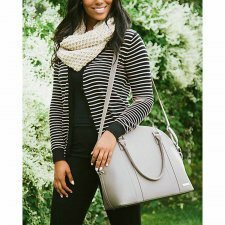 It’s a classic piece you can flaunt even after you’re done changing diapers. Don't sacrifice style for function. 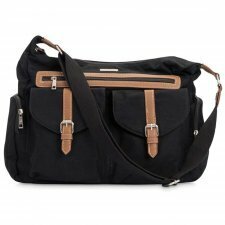 The versatile Rambler Satchel is the perfect organizer bag to keep your essentials stylishly stowed and well ordered. Great for Mom and Dad! 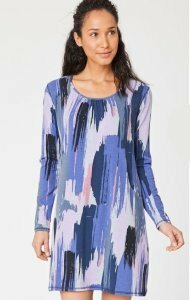 Long sleeve dress made of 100% organic cotton, inner side in plush cotton. Back short zip. Front small pocket. Colours: terracotta, green, avio blue or black. ICEA certified according to international standards GOTS (Global Organic Textile Standards). Hand wash or machine wash 30 ° C and with low spin. main zipped compartment. multiple inner pockets. laptop compartment with velcro closure. improved closure with zip and side snap buttons.